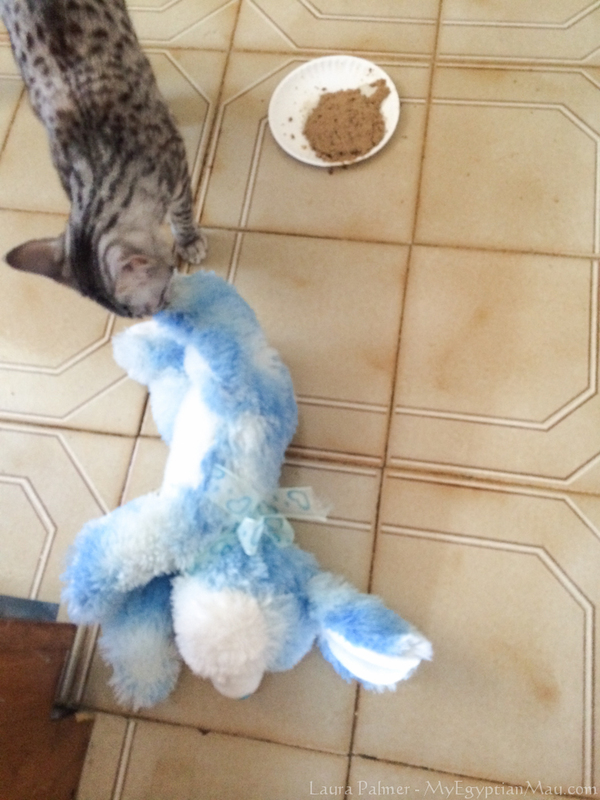 This picture features the day that Solstice’s favorite toy became a stuffed rabbit of mine called Julius BunBun. BunBun is bigger than Solstice. 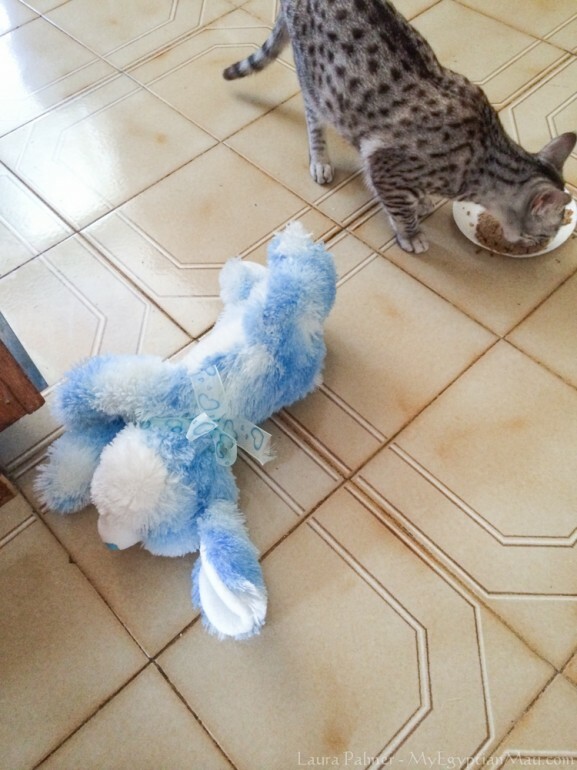 Yet he was still carefully dragged to the food dish so that they could eat together. Solstice has a good heart.